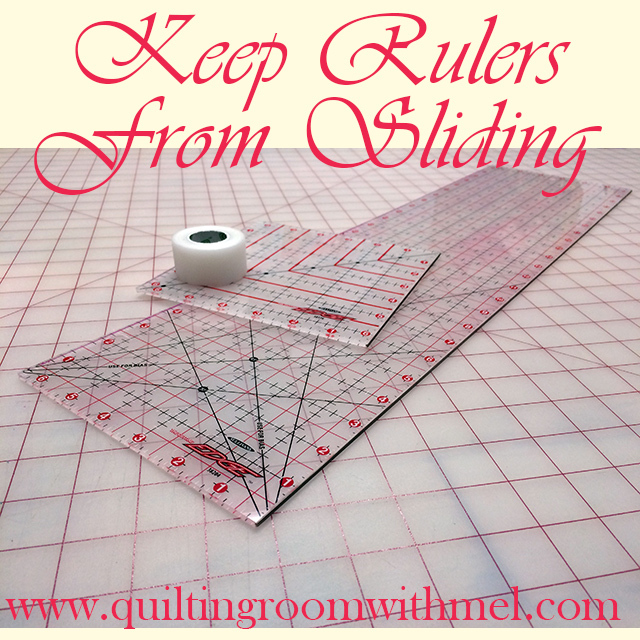 When your ruler slips while you are cutting fabric it can't ruin your day. Your piece will be off and if your luck is anything like mine you won't have enough fabric to cut more. Since, I live in the middle of nowhere I sometimes have to use what I can find around the house to solve a problem. That's exactly where this quilting hack came from. I was tired of making scraps because my ruler kept sliding around. 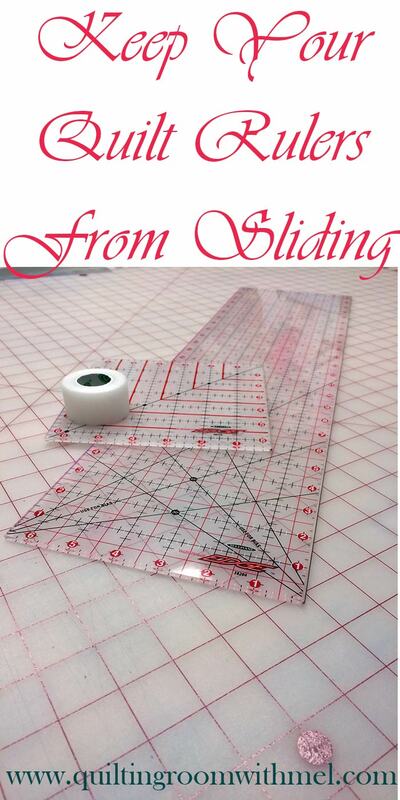 It was time to stabilize my quilting rulers and save my sanity. So, it's a Sunday afternoon and you've messed up enough cuts that you only have enough fabric for one last shot what do you do? I can't run at to the quilt shop and pick up more fabric until Saturday because both of our shops are closed Sunday and Monday. They both have typical business hours which means they are closed before I can get there. So in an effort to keep the ruler from sliding again, I started searching around the house for what I could use. My first thought was a piece of sand paper but that won't stick. I did look pretty hard at a piece of sandpaper in the garage that was like a peel and stick sticker. The only reason I didn't go with that was I wasn't sure if it was garage stash or if it was for a project and hard to find. So I started looking in the bathroom. That's where I found it, A clear so I can see through it, medical tape. It has some texture to it so it will grip but you'll see all of that in the video. It's really that simple. 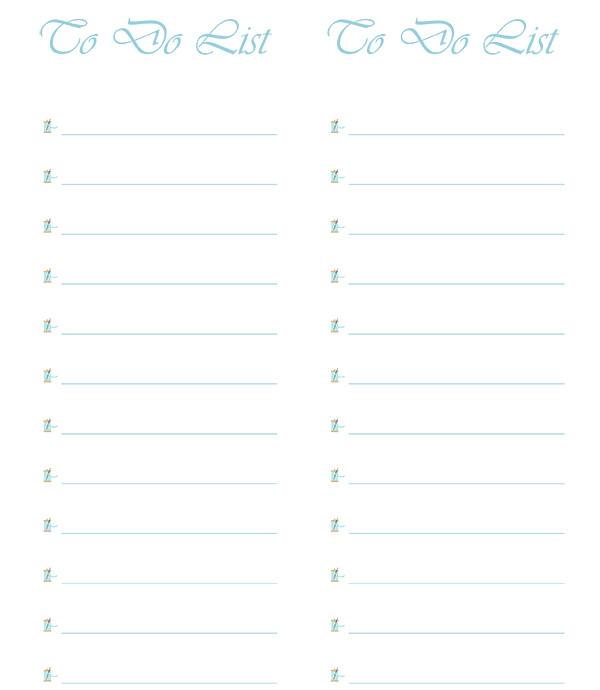 If you are looking for more tips and help with your quilting be sure to sign up for our newsletter and get this cute to do list. That's a great 'make do' tip. And really, we keep it around in case we need it but thankfully we seldom do. This way I can use up the old stuff. The other day, I cut the sticky portion from one end of a flexible fabric band-aid and stuck it on the ruler--works a treat! That's a great tip!!!! I could have used it last night!!! 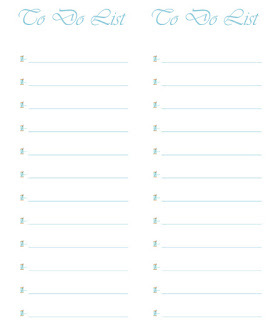 Now I need to see if I have any!!! Thanks again Mel!!! !